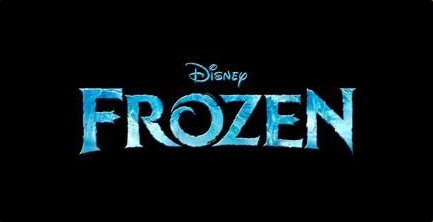 ‘Frozen II’ Teaser Trailer Debuts! We finally get our first teaser trailer for Disney’s upcoming animated sequel, Frozen II! What do you think of this trailer? I personally am loving what I’m seeing! The overall look of the film is quite distinct and I’m loving the stunning animation! I mean, those waves and cliffs look so real! I also liked the bit of the song that we heard near the end! The characters seem to be going on a journey, but I wonder what the journey will be. Any ideas? I still don’t want them to give Elsa a girlfriend in this film; I’d rather her remain single. Frozen II will hit theaters in the U.S. on November 22, 2019! Author The Animation CommendationPosted on February 13, 2019 February 13, 2019 Categories Animation NewsTags animated film, animated movie, animation, chris buck, disney, disney animation, disney canon, evan rachel wood, frozen, frozen 2, frozen II, idina menzel, jennifer lee, jonathan groff, josh gad, kristen anderson-lopez, kristen bell, robert lopez, sterling k. brown, walt disney3 Comments on ‘Frozen II’ Teaser Trailer Debuts! It’s that time of year again: the time we take a look at what next year has to offer us in terms of theatrical animation! Bear in mind that these are only the animated films with verified US release dates and that any and all dates are subject to change at any time. (And for the purposes of this blog, I am not including Disney’s upcoming The Lion King remake in this list!) Enjoy! “Frozen” Becomes Highest-Grossing Animated Film Ever! Well, it’s happened! Disney’s “Frozen”, recently grossing over a billion dollars, has broken a new record by surpassing “Toy Story 3” as the highest-grossing animated film of all time! You can read more of it here. Author The Animation CommendationPosted on March 30, 2014 Categories Animation NewsTags animated film, animated movie, animation, disney, disney canon, frozen, idina menzel, jonathan groff, josh gad, kristen bell, santino fontana, walt disney19 Comments on “Frozen” Becomes Highest-Grossing Animated Film Ever! Ok, here it is: the review you all have been waiting for and asking me to do for the longest while! The reason I took so long to see it was that I was waiting for it to come out on DVD. Why? Well, because I would be able to snip images from it for my review the way I usually do. And also because, I honestly had no idea what I thought about it when I saw it the first time, hence my need to see it again. 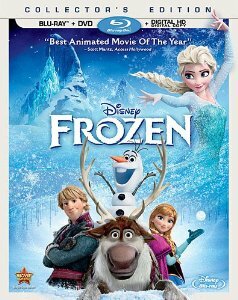 So now that I’ve re-watched it, what do I think of Disney’s billion-dollar grossing addition to the Disney Canon, “Frozen”? Well…..it’s ok.
“Frozen” Shows No Sign Of Melting As It Passes The Billion Dollar Mark! Yep, the beloved film, “Frozen” has accumulated a worldwide gross of over a billion dollars! It’s taken over “The Lion King” as the second highest-grossing animated film ever (not taking inflation into consideration, of course) after “Toy Story 3”. I, for one, didn’t think that this film would cross the billion dollar mark, but I’m glad it did! I feel happy that a film from the official Disney Canon has joined the ranks with the other 17 films that have made over a billion dollars worldwide! Author The Animation CommendationPosted on March 2, 2014 Categories Animation NewsTags academy awards, alan tudyk, animated film, animated movie, animation, ciaran hinds, disney, disney canon, frozen, highest grossing films, idina menzel, jonathan groff, josh gad, kristen bell, oscars, santino fontana, walt disney10 Comments on “Frozen” Shows No Sign Of Melting As It Passes The Billion Dollar Mark!